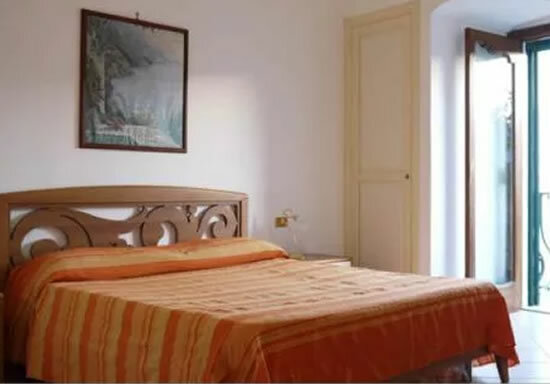 B&B Colle dell’Ara Positano - This rustic accommodation has very inviting features such as a beautiful garden, very welcoming staff, a breathtaking view of the sea, great food, free internet connection, rooms with private bathrooms and flat screen TV and a perfect location. Only a 30 minute walk from the centre of Positano. 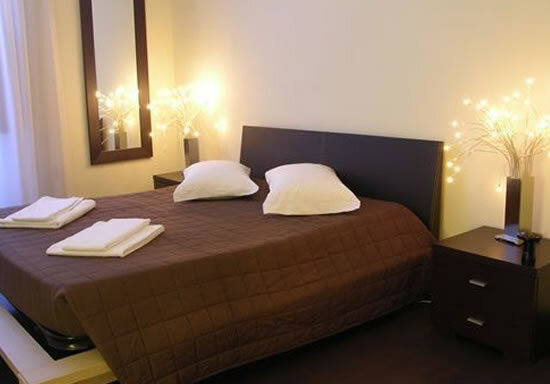 Cheap budget B&Bs in Rome city centre providing accommodation next to Termini Train Station and the Colosseum - these bed and breakfasts (6 of them) offer a variety of rooms - 165 of them to be precise - in a range of different categories from Superior Rooms which have everything including private bathroom, plasma tvs and wi-fi internet to the Basic rooms in Rome which have fan, tv and of course it wouldnt be a modern Rome bed and breakfast if it didnt have wi-fi internet throughout the properties. 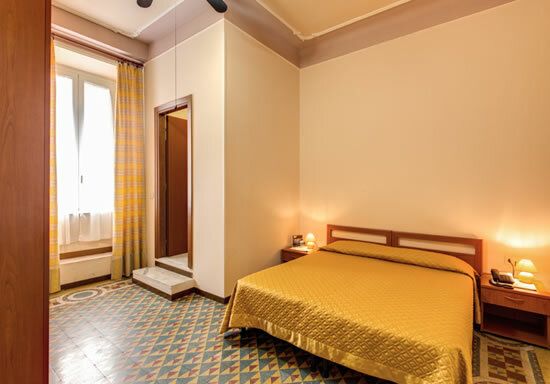 In Rome Accommodation is an association of two Bed and Breakfasts and seven self catering apartments in Rome dotted around the city centre and all working together for mutual benefit and increased marketing power. 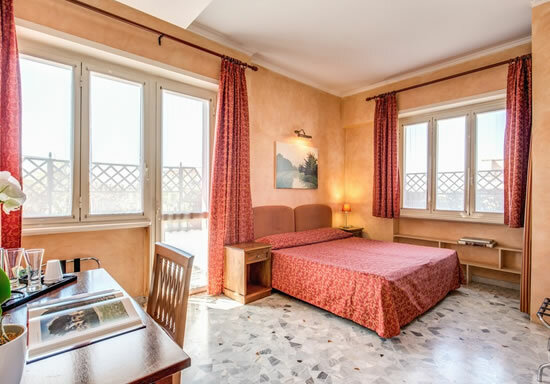 Ideal for large groups who want guest house informality and that personal touch, the Margutta apartment is particularly ideal for a happy couple should Rome be the venue for your wedding. 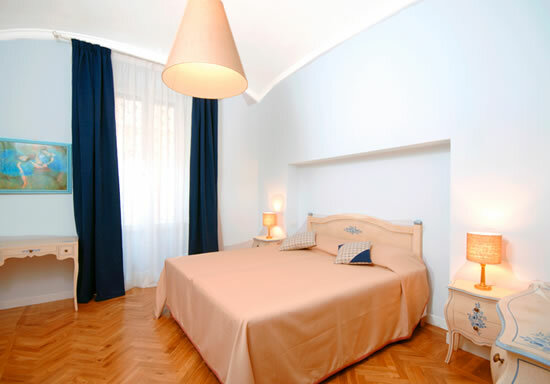 The Happy Holiday Bed and Breakfast in Rome is a small family run B+B with unbeatable rates, overlooking the Basilica San Giovanni. The clean and spacious rooms offer independent and simple accommodation at a fraction of what the Hotels in the area charge. Choose between single, double triple and family quadruple rooms and save some hard earned cash for a meal or some Italian Fashion. The sister B+B of the Happy Holidays is also situated near San Giovanni, around ten minutes walk from the Metro and has the added advantage of private bathrooms with all accommodation. Only opened in November 2007 it has large rooms all brightly lit, with modern furnishings and decorations, and offers unbeatable value for money! 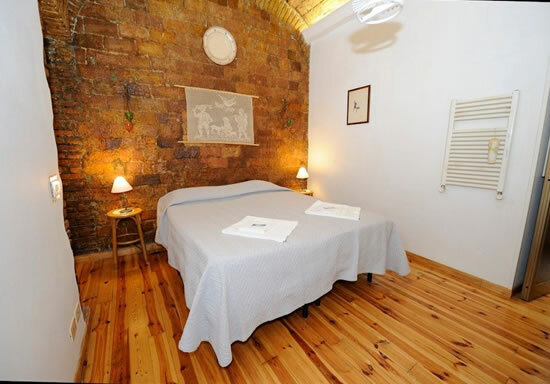 Newly established low cost bed and breakfast in the southern part of Rome’s historical centre, the Domus Caracalla (House of Caracalla) is located near the thermal baths of the same name – a fantastic and beautiful place for a picnic deep within the heart of the city. Well connected and not far from the Colosseum, this new budget B&B is all the budget traveller needs. 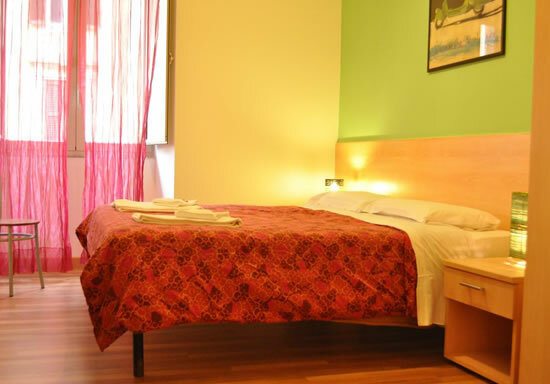 One of Rome’s newest budget accommodations, the B&B Angelus is a homely city centre option located just off Via Nazionale in the heart of Rome. 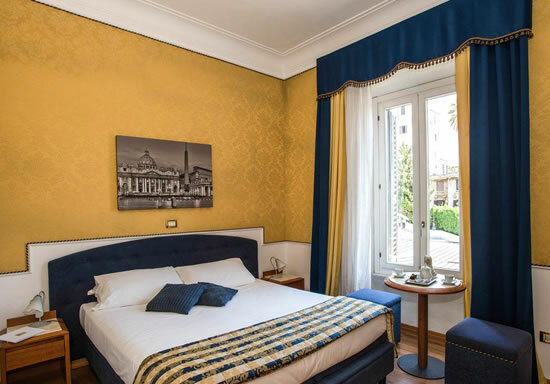 A 10-15 minute walk from the Colosseum, this cheap and amiable B&B serves breakfast in the garden, has single, double and triple rooms with private bathrooms and even a wireless internet connection for guests. Piazza di Spagna View Rome is without doubt one of the best located guest houses in the eternal city of Rome, offering – as the name suggests – views of the famous Spanish Steps from each of the suites. Equipped with all comforts necessary to make the suites one of Rome’s exclusive accommodations, Piazza di Spagna View is the ideal honeymoon accommodation. L’Incanto di San Pietro (San Pietro is the Italian for Saint Peter) is the sister accommodation of the Incanto di Roma which is located on the other side of the historical centre. 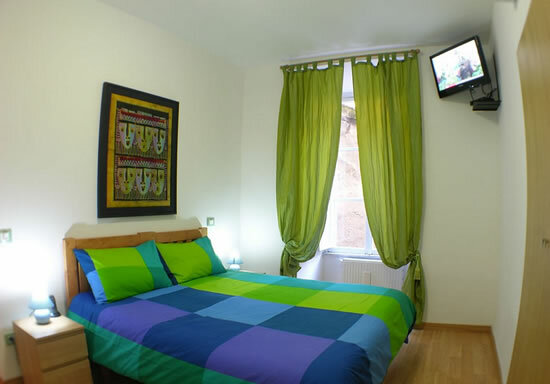 This charming, high quality yet value for money Bed and Breakfast by the Vatican keeps you comfortable and safe without having to spend a fortune on a 4 star hotel.